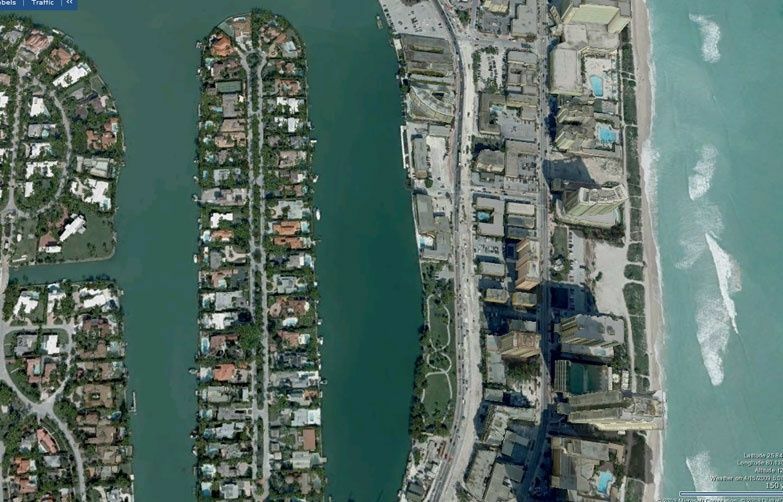 Allison Island is an 8.5 acre man made Miami Beach island located to the north of South Beach within Miami Beach. This island is known for its’ oversize lots and waterfront residential property. One side of the island only contains waterfront homes and the other side of the island is home to the Aqua Townhomes. Both sides are guard gated 24 hours per day. Allison Island contains 46 island home of varying architectural style and appointment. It is within a ten minute drive to Miami Beach’s most luxurious restaurants, shops and entertainment, while maintaining a high level of privacy due to its exclusive island status. Allison Island activities are abundant and it is less than a mile from the beautiful Indian Creek Park and La Gorce Country Club, one of the nicest golf courses in Miami Beach. 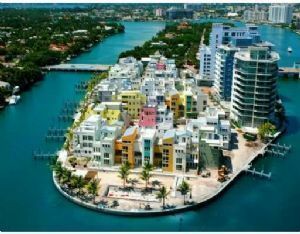 Allison Island is a small community that commands some of the highest price real estate in Miami Dade County.